Babyminder® changing tables provide parents with a safe, convenient and hygienic baby changing facility in away from home locations. 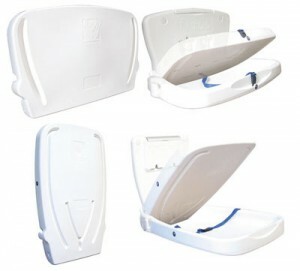 The Babyminder® Vertical and Horizontal Baby Changing Station is compact, ultra slim and has heavy duty integral moulded hinges for strength and safety. Babyminder® changing tables are developed to verify strength & appropriateness for use and built from standards applicable to furniture designed for non-domestic use.